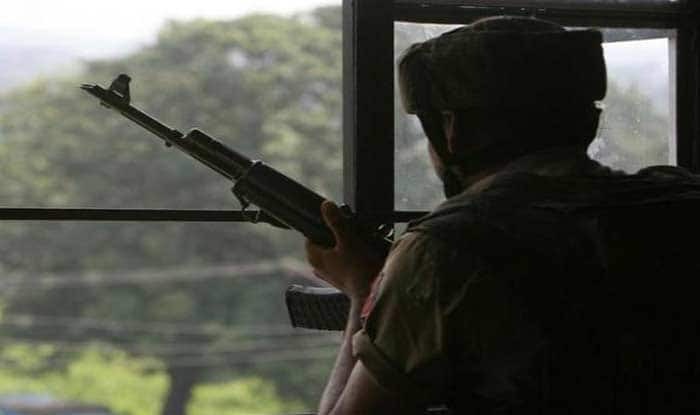 Pakistan violated ceasefire along the Line of Control (LoC) in Poonch sector of Jammu and Kashmir for the fourth time in last two days, on Wednesday. Srinagar: Pakistan violated ceasefire along the Line of Control (LoC) in Poonch sector of Jammu and Kashmir for the fourth time in last two days, on Wednesday. India is strongly retaliated to the intermittent firing from the other side. On Tuesday, the Pakistani army resorted to small arms firing on the forward posts along the LoC in Poonch sector’s Gulpur and Khadi Karmara areas. This was the fifth incident of ceasefire violation by Pakistan, in a week. On Saturday, Pakistan resorted to heavy shelling and firing along the LoC in the Mankote, Khadi Karmara and Gulpur areas. Similar incidents were reported on Thursday, Wednesday and Tuesday as well. Jammu and Kashmir recorded 2,936 instances of ceasefire violations by Pakistan in 2018 — the highest in the past 15 years with an average of eight cases daily — in which 61 people were killed and over 250 injured. “Pakistani forces have violated the ceasefire 2,936 times in 2018, in which 61 people were killed and 250 injured,” a senior Army official told PTI. The number of ceasefire violations by Pakistani troops in 2018 were over three times that of 2017, when 971 cases were reported. In 2017, 31 people — 12 civilians and 19 security forces personnel — were killed and 151 suffered injures. People living near the border in Jammu, Kathua, Samba, Rajouri and Poonch districts were severely hit by firing and shelling by Pakistani troops.